Mohammad Mushfiqur Rahim (not to be confused with Mushfiqur Rahman) was born 1 September 1988, in Bogra. He is a cricketer from Bangladesh and vice-captain of the national team. He specializes as a wicketkeeper and is a lower-order batsman. He was a wildcard inclusion for Bangladesh's maiden tour of England in 2005, Mushfiqur Rahim was just 16 years old when he was selected for their daunting two-Test, six one-day international tour, having not even been named in the preliminary squad of 20. Principally selected as an understudy to the team's ever-present wicketkeeper, Khaled Mashud, Rahim's inclusion was further evidence of Bangladesh's determination to build for a better future. He showed more evidence of grit with the full team, with a maiden first-class half-century to soften the pain of defeat against Sussex, followed by a career-best 115 against Northamptonshire. That earned him a call-up - as a batsman - to become the youngest player to appear in a Test match at Lord's. 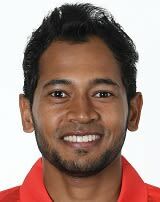 Find Mushfiqur Rahim profile and stats of batting, bowling and fielding including latest updated news of Mushfiqur Rahim, videos and images at Hamariweb.com. Also find detail Player profile and career statistics of Mushfiqur Rahim of Bangladesh. I AM PAKISTANI I WANT PLAY CRICKET FOR BANGLADASH.I LOVE BANGLADASH. WHAT I AM PLAY FOR BANGLADASH IN INTERNATIONAL TEAM? PLEASE ANSEWE MY THIS QUERTION. I MEAN THAT I AM PLAY CRIKET WITH BANGLADASH TEAM. I KNOW YOU NEEDS PLAYER FOR CRICKET. 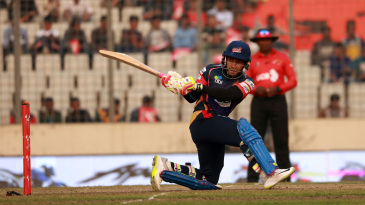 Mushfiqur Rahim - Find Mushfiqur Rahim of Bangladesh Cricket Team complete player profile, number of matches, runs score, wickets & catches, Statistics, Records, Mushfiqur Rahim Latest News, Mushfiqur Rahim Videos, Mushfiqur Rahim Photos, and other Mushfiqur Rahim Cricket Team players.